Is Russia destined to nuke the US? 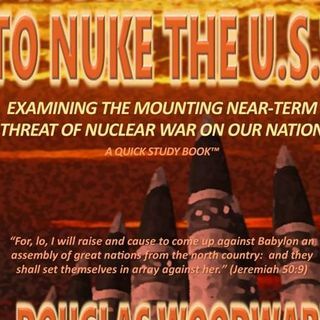 This is the question that we will be asking today as we are joined by friend and Bible prophecy researcher Doug Woodward. Based on his latest research that went into his new book "Is Russia Destined to Nuke the US", we will be addressing the issues surrounding the tensions between Russia and the US. We will look at these tensions from an economic standpoint, a geopolitical standpoint, a militaristic standpoint, and a scriptural standpoint. With the ... See More proliferation of deals betwen Russia and China and all of the activity surrounding the Crimean penninsula there is little question as to why this is an important topic to be discussing. At the end of the day, we must ask if the road to World War 3 is already being paved. You can check out Doug Woodward at: www.faith-happens.com.